For a trouble-free move, our Hanford Movers are here for you! Our professionally-trained student-athlete Meathead Movers are ready to get you into your new Hanford home. 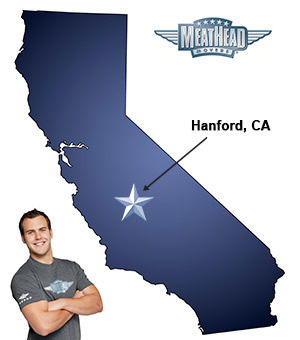 Welcome to Meathead Movers of Hanford! Our professionally trained student-athlete Hanford movers and our move concierge are here to help you with every stage of your move. If you are moving to or from anywhere in Hanford, we are the moving company for you! Moving to a new town can be a stressful process, but we at Meathead Movers pride ourselves on making your move as stress-free as possible. Our moving company specializes in local, long-distance, and commercial moves to, from, and within California. We also provide reliable packing, storage, on-site relocations, and our distinctive moving concierge service. Hanford is a major economic and cultural hub in Kings County, and is a great place to make your new home. The city hosts a variety of fairs and events to entertain the whole family, some local favorites include the Kings District Fair and the Renaissance of Kings Cultural Arts Faire. You can visit Hanford Historic Downtown to learn more about the city’s history and explore unique restaurants and stores, or watch a show in the historic Fox Theater. You can also learn more about the city’s rich history at the Clark Center or Hanford Carnegie Museum. If you choose Meathead Movers for your move to Hanford, you can rest assured that all our student-athlete movers are thoroughly screened and trained before their very first move. With branches throughout California, we are your one-stop resource for all your moving needs, no matter where your move takes you. In fact, you can see what your neighbors have to say about our Hanford movers! With our 100% satisfaction guarantee, the only thing you have to lose is the stress that comes from moving! So contact us today for a free moving quote and to learn how we can help you on your next move! Moving to Hanford? Here are some helpful resources. My 65” Flat Screen TV that I bought new 6 months ago was damaged beyond repair. When I talked to Eric (MeatHead Operations Manager) he wanted to take care of the broken TV and when I stated it should be replaced or I want the $979.99 to replace it - he stated he couldn’t do anything and that I would be contacted later to start the claim. We can’t wait - I have the local cable company coming out to start service and we need the TV replaced. Eric was a total waste of time. They arrived on time, introduced themselves, and asked a lot of question in what was to be removed from the house. They also got done in exactly 3 hours. I would definitely recommend this company, to potential customers. From the office staff to the moving crew everything was excellent! Friendly, professional young men, who hudssled and showed respect for my belongings.